These presentation slides 40230 are complete compatible with Google Slides. Simple download PPTX and open the template in Google Slides. 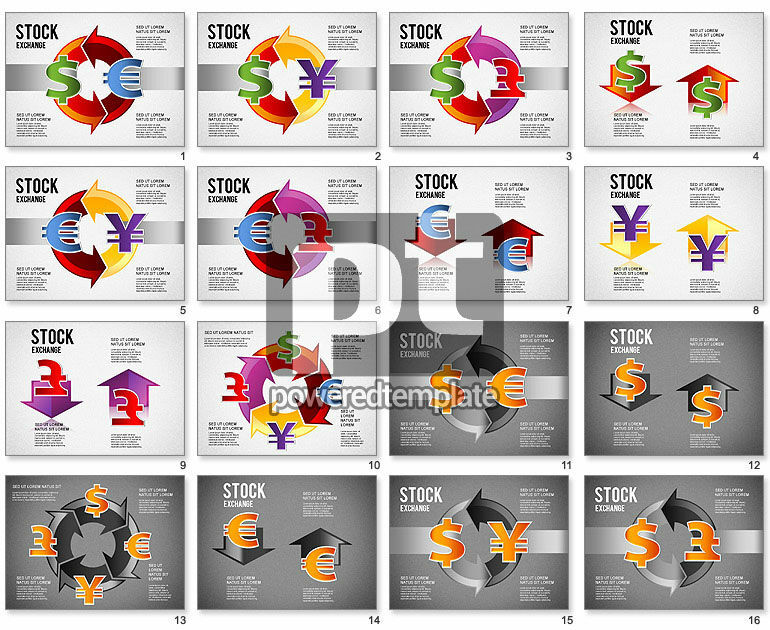 Such a bright and colorful Stock Exchange Shapes template is dedicated to currency, rates and exchange processes. The sample has various colorful currency symbols, arrows and two variants of background. It is a great theme to speak about exchange, market researching, financial analysis and so on. Your audience will be impressed and you will certainly get through to them very easily.